There is a whole different world under the ocean! Different plants, colors, and animals. 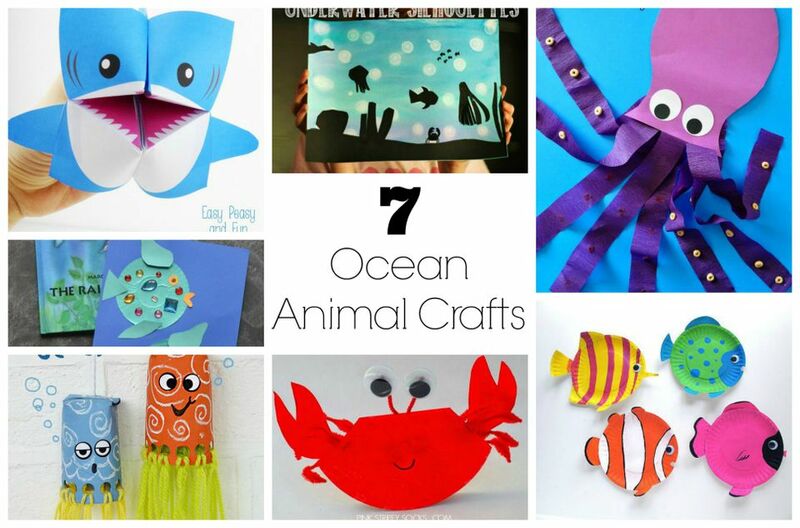 Get your kiddos together to make these ocean animal crafts! From recycled crafts to yarn and painting, you'll have fun putting together these silly sea animals. How about a crab, a few fish, or even a shark cootie catcher? We also found a few octopus to join the fun. Practice your origami skills with this fun shark cootie catcher. Print out the template and follow the easy instructions to make your own. This is a great preschool activity for little hands. Use card stock and streamers to make this silly octopus. Save those extra toilet paper rolls to make a crew of wiggly octopus friends. Aren’t they cute? Add a little yarn for their legs and you're all set. How pretty are these rainbow fish? Decorate the cupcake liners with sparkly craft jewels. Don’t get snapped by this paper plate crab! Use big googly eyes to make him look silly. Since you've tackled all the smaller fish, it's time to move onto a bigger pond! Your kids will love this easy and educational ocean diorama.